One of my favorite meetings of the week is at 6:00am Tuesday mornings in the connection room at FBC. It’s a small prayer meeting. It’s been said that “prayer is the slender nerve that moves the hand of omnipotence.” You are welcome to join. Josh and Nicole Sturm lead a prayer time for the church. Dan Ubaldo and I join them. We read a Psalm and pray through it. Then we spend 45 minutes praying for FBC. It’s the product of our growing conviction that we need to pray, and pray together with more consistency. As I let Luke and Acts wash over me in my studies for preaching, I cannot escape the role of gathered prayer in God’s unfolding purposes. In Luke, every significant expansion of God’s saving purposes in the world begins in a prayer meeting. Gabriel appears to Zachariah and announces the birth of John the Baptist and the coming of the Messiah in Luke 1. This happened during the hour of evening prayer in the temple when God’s people were praying for mercy outside. The coming of the Holy Spirit at Pentecost (Acts 2) was during a prayer meeting in which a meager 120 people gathered to pray. 3,000 people were saved and the church was born. In Acts 4 when Peter and John were threatened for preaching the gospel, the people gathered to pray and God moved the entire church to preach the gospel with boldness in spite of persecution. In Acts 13, the elders in Antioch prayed, God selected Paul and Barnabas as missionaries, and the major missionary movement to the nations leaped forward. Certainly not all prayer meetings lead to revolutionary leaps forward, but there is no awakening, revival and expansion without them. One retired missionary asked me about our services a few years ago. He said, “I see the singing, and the preaching of the word and communion, but where is the praying of the church?” He was referring to Acts 2:42 and the four devotions of the early church. He was right. We decided to cross the barrier of “It will be uncomfortable for non-Christians.” If non-Christians want to see what Christianity looks like in practice, they will need to see Christians pray together. Jesus died on the cross so we could come boldly and pray. From my spot in the front row, I am profoundly moved to hear the prayers of the saints. I want to give you four practical encouragements about gathered prayer. First, prioritize praying over gathering prayer requests. I have enjoyed growth groups for nearly three decades now. But we often spend most of the time hearing requests rather than praying. We say we will pray later, but we often don’t. It’s okay to gather requests, but it is also okay just to pray them. You can follow up with concern immediately after if someone is troubled. If you are married, do this as well. 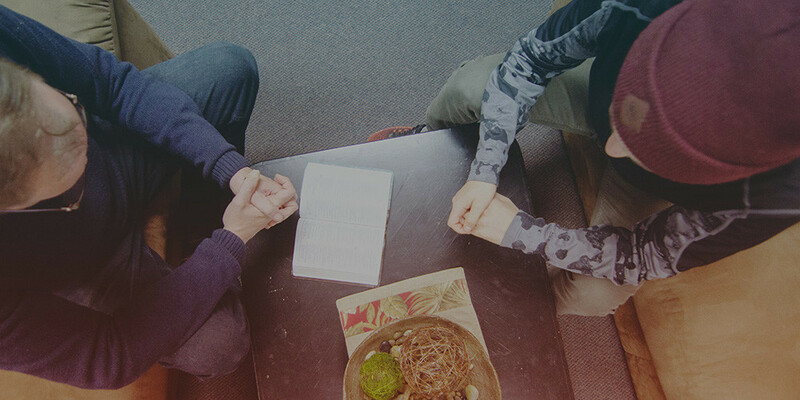 Again, we talk to each other a lot, and need to talk with God together more. Second, be transparent in your praying. Confess sin specifically to God. Ask God for what you are really wanting. Don’t sanitize your requests. Then you can say “Yet, not my will, but thy will be done.” Finally and most importantly, saturate your prayer with thanksgiving, praise and scripture. God is the giver of all good gifts, even the gift of refining trials. Praise him for who he is and his sovereign work. Pray scripture back to him. Praying his word aligns your heart with His heart. As you pray for each other, the church, the city, and the lost around the world, God may actually propel another leap forward in his worldwide plan right here. If we do not pray, he almost certainly will not. We pray because the things we really want to see (growth and lost souls saved), can only be done by God. He will get the glory for what he alone can do.